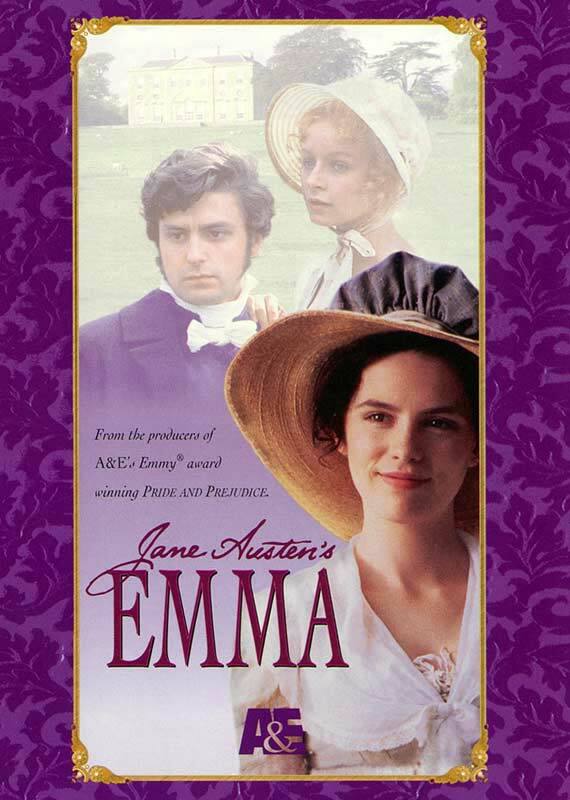 200 blog posts and not one Jane Austen quote? This is for my wife’s, and strangely enough my brother’s, amusement. I considered writing one very clever book or article – instead I settled for 200 very dull things indeed. And now I attack you with more address. Yes, I couldn’t stop at just three – and Kenn – I get the full force of your meaning – but thanks for laughing. Also, “I saw you first in February. Let every body on the Hill hear me if they can. Let my accents swell to Mickleham on one side, and Dorking on the other. I saw you first in February“. My favorite LCBO summer red wine? Doesn’t matter anymore – “Product Discontinued*” and I think the asterisk is there just to make me mad! A perfectly good inexpensive French wine available nevermore (my third Edgar Allan Poe reference in two years – good for me). Well LCBO – I know how to play this game. 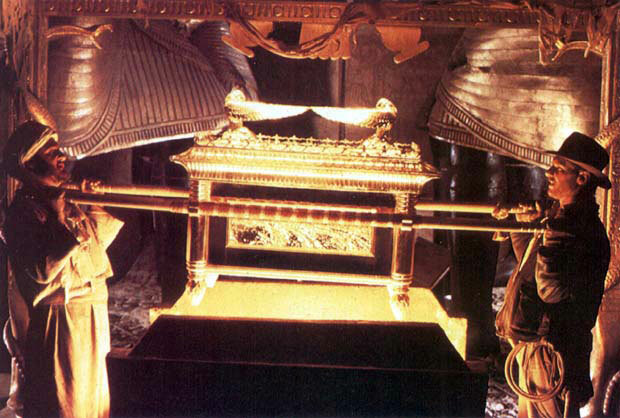 I contacted my girl in the Vintages section and she hunted down 6 bottles from some warehouse in Ottawa – where presumably the bottles were stored next to the Ark of the Covenant. So here’s the next problem. With this heat wave and the BBQ going strong I opened my first (of 6) precious bottles and now it’s gone because we drank it. Now I’m down to 5. And I know myself, soon I’ll be at 4. I don’t like where this is going. I can look for another great summer BBQ wine but that seems like a lot of work. Anyone have a favorite summer BBQ wine for me? I need at least 6 bottles. This is a guest blog post from my friend John at linktrap – a site where he finds the best of the internet and technology and “traps” it for my enjoyment – yours too. I was thinking about that famous line from the movie “Out of Africa” with Meryl Streep and Robert Redford. I would have been pleased to own a coffee plantation. However, pushed into a corner (in the vintages section), I really think I would choose a vineyard first! Since I have neither a coffee plantation or a vineyard, I yearn for second best; apps for my iPhone. I have too many apps for photography, and NONE for wine. 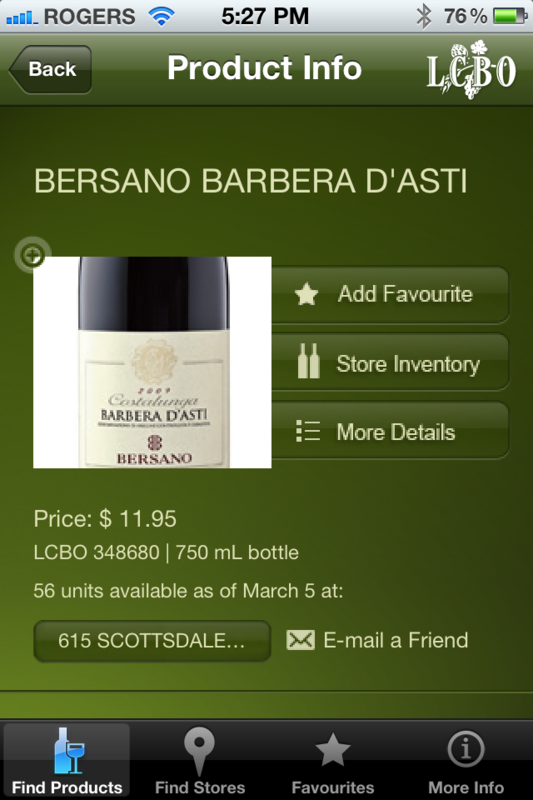 My first app of the drinking genre comes from our beloved LCBO as we are given to call it. I was introduced to the app at a party, a surprise party for a friend. For gift giving, the husband had suggested bringing a bottle of red wine. While standing in the kitchen I watched a special unveiling of a bottle for the birthday girl. I recognized the name of the wine, and I assumed it was a nice bottle. iPhones were quickly pulled out and the new FREE app was being loaded up. I immediately went straight for the “special” bottle I had noted earlier. This is when it occurred to me that I was about to cross the line. So what if this bottle wasn’t so special? I was potentially going to out this guy as a cheapskate! On the other hand, he might be fine, having chosen a decent wine (Travis will be the first to tell you that price is not an indication of a wine’s pedigree). It came in at a hefty $45, so price wise, a decent gift for the birthday girl. 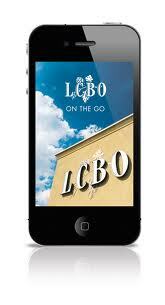 I’m sure you can come up with more ideas – let Travis know how you might use your new LCBO app! And yes, if you must know it’s available for Blackberry users too. 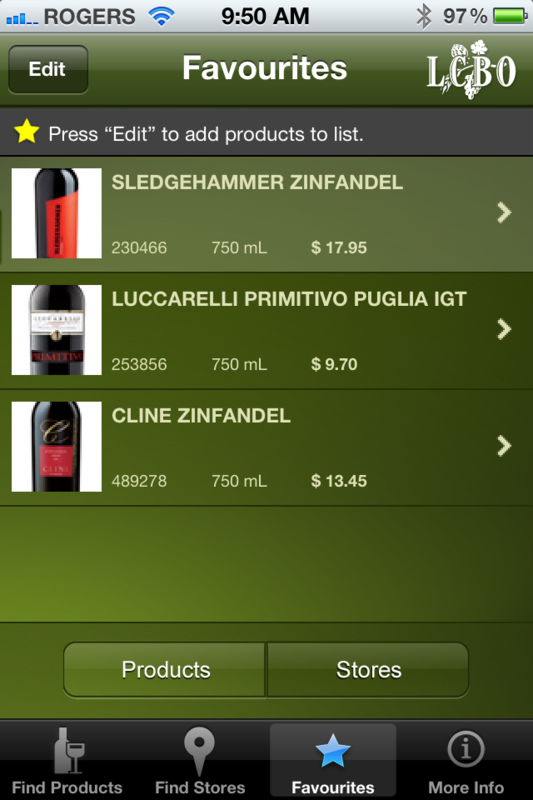 Editor’s Note – My wine apps include Billys Best Bottles (my favorite), the LCBO app, Natalie MacLean’s (great for food pairings), and the Wine Spectator Vintage Chart (since I can’t memorize those on my own). March 15, 1972 marked the release of The Godfather – the touchstone movie by Francis Ford Coppola. As a tribute to its 40th anniversary I went in search of more Italian-American classics to bring to a party. This is what I found. Primitivo (Italian) and Zinfandel (American) are actually the same grape. Science proved itself useful again when DNA testing verified that just a few years ago – so I brought a Primitivo and two Zins to a party. By the way, Zinfandel is NOT your grandmother’s pink Zinfandel that she sipped with an ice-cube in the glass (although that’s perfectly acceptable behaviour if you’re a grandmother) – today’s Zinfandel is a great red wine that can be big and powerful like Don Corleone. 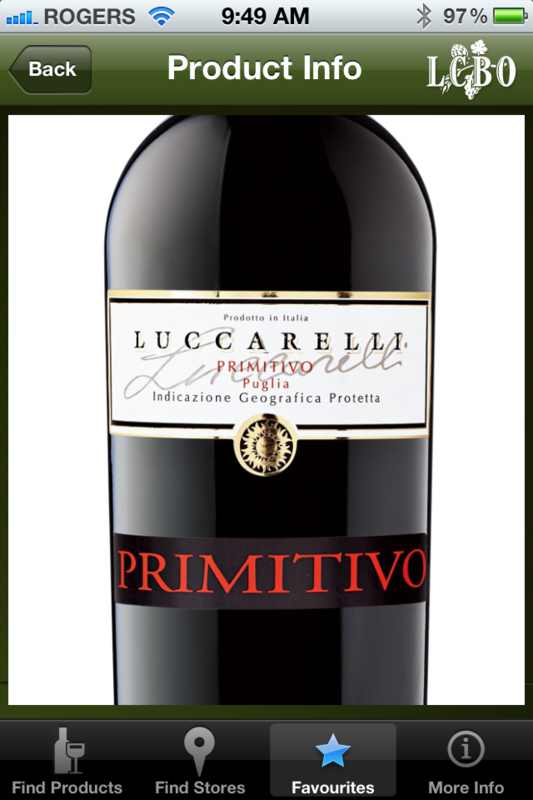 I have always liked the Cline Zinfandel but the Luccarelli Primitivo stole the show. 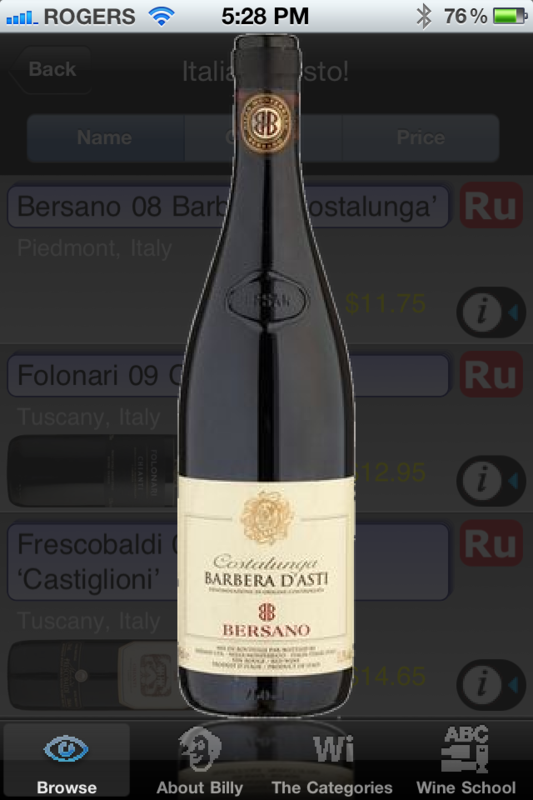 Rustic and bold, everyone liked this wine that cost less than $10. The Sledgehammer was really good too – a nice combination of the more refined Cline Zin with the boldness of the Primitivo – and every bit worth the $18 price tag. However, I’ve already gone back and bought more Luccarelli simply because of the value. Let’s just say it made me an offer that I couldn’t refuse.